We are one of the most trusted names in the industry to offer ferro silicon zirconium. Top quality Ferro silicon zirconium is manufactured using standard melting technology by our experienced technicians. 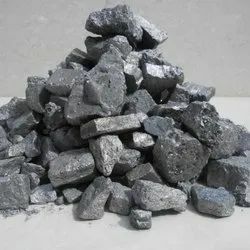 Also known as silicon zirconium, our product is widely used as a gestation agent for high grades gray iron cast and as a de-oxidant in steel castings or in certain steels where a low residual aluminum is required. These silicon alloy also reduce the porosity of casting to improve the processing performance.